Noticed some of your tiles are higher than others? Do you want your floor flattened to improve the aesthetics, keep from chipping the edges, and facilitate marble cleaning? Peak Floor Solutions can grind away the excess marble to restore a flat level surface using the latest state-of-the-art machinery in conjunction with diamond abrasives. Have you noticed dull areas in your traffic areas? This is typically associated with what is commonly referred to as wear patterns, scratches, etches and so forth. Peak Floor Solutions can repair these surfaces by either â€œhoningâ€ or polishing your marble to eliminate these blemishes. The surface is then polished to the desired finish leaving you with the memories of your new floor once again. 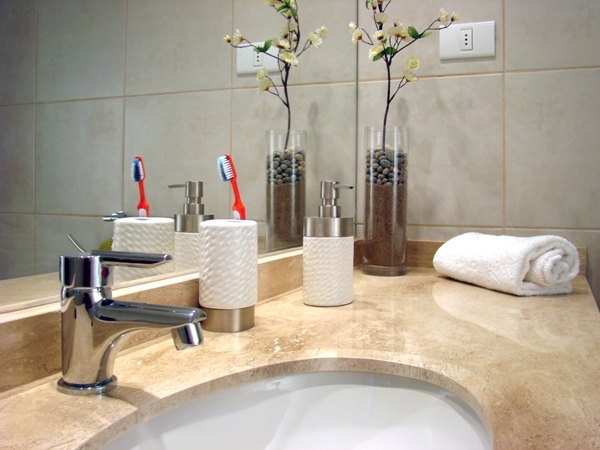 Your grout unmistakably influences how your floor, countertop or other surface will look in the end. Peak Floor Solutions can replace, restore or repair grout as the need dictates to provide that finished look to your surfaces.